Thanks to Hopscotch Films we were lucky enough to have the opportunity to send film writer and critic, Chris Elena to catch up with Kieran Darcy-Smith; the writer and director of the new Australian film ‘Wish You Were Here’. 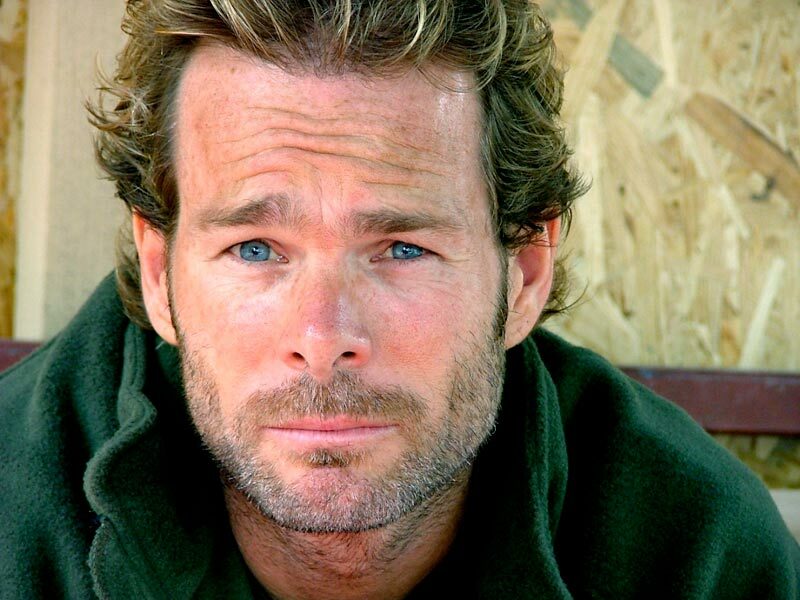 Darcy-Smith (pictured below) has been in the business for many years starting out as an actor in a handful of Australian television shows including ‘All Saints’ and ‘Blue Heelers’ but has now turned his attention to screenwriting and directing. 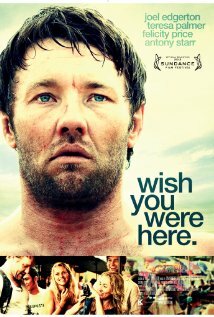 As a founding member of Blue Tongue Films (with Joel and Nash Edgerton) his feature film debut, ‘Wish You Were Here’ (in Cinemas 25 April) stars his wife Felicity Price and Joel Edgerton. ‘Wish You Were Here’ tells the story of two couples on a holiday in south-east Asia. The trip takes a dark turn with the mysterious disappearance of one of their friends. As they return home many questions are raised, secrets are revealed and relationships are left hanging in the balance. In a Q&A roundtable Chris asked him about the writing and directing process as well as shooting on location in Cambodia. Hit the jump for the interview. Q: Because you’ve done a lot of acting in the past, when directing the performances in the film did you apply what you’d learnt or valued from directors on other projects? I think all directors should go away and do, even if it’s just for a couple of weeks, go and do a part time course and get their head around how actors think, what they need to hear and what works for them. I mean, I feel kind of lucky that I didn’t start writing until I was 30, previously I was a musician and then I got into acting but everything I learnt about drama or narrative came from a character base, it’s all from an actor’s point of view and I think it’s a good way to approach it. I’ve seen what works with me from a director, you know and I’ve seen what works on other actors from other directors and I was lucky that I had spent 15 odd years hanging around film sets and watching it like that before I got to do it myself. I also taught a lot of acting at NIDA (National Institute of Dramatic Art) or at SCREENWISE teaching a screen acting course and I’d seen relative non-actors/new students do extraordinary things given the right kind of motivation, so I kind of know what it takes to get someone to concentrate on the task at hand. I think after working with someone for a couple of days you realize the kinds of things that work best for them to get to that point. Everyone’s a little bit different. You know one thing I was lucky with was that Felicity is my wife and so trust is everything, for both parties actually. As an actor you really want to trust your director and hand yourself over to them, you’ll literally break your back for a director if you trust them. But for a director you need to trust the actor as well, it’s a two way street and Felicity knew I was never going to let anything through the gate unless I believed it, you know. There’s two reasons, I had seen her in every possible state, I’d seen her give birth, I’d seen her cry, I’d seen her angry and everything so I could recognize a bum note and If I saw a bum note I wasn’t going to let it fly. So, I had her and she trusted me. Joel and I went to drama school together, he’s my best friend, he was the best man at my wedding and he’s the godfather to one of our kids, so, he was always going to trust me as well so I was lucky to have both of those guys with that element of trust. It’s one of those questions that’s hard to answer but as long as actors feel that they’re doing a good job and they feel safe and they feel relaxed. If they’re signed on and they’re happy with the material and they like you, they’ll do anything and as an actor I know that myself. So fortunately they trusted me and I trusted them and we were invested in the material. Q: From the trailer and synopsis of the film which people base their movie going experience on, it comes across as a mystery and a human drama and even in the film that’s quite evident even though they’re one in the same as the film progresses, what came first when you were writing the script? Well, the two ideas were conjoined in the beginning but initially the relationship was what we wanted the audience to invest in, you know we wanted them to go through an experience with a couple and fall in love with these people and care about them when things were literally about to fall apart so the relationship was at the forefront but I always love a good drama that utilizes different genre elements, so the word “thriller” was always hanging around. The idea was to have that thriller framework and it’s not such a bad thing if it’s perceived as a mystery thriller and I think most people do but they get a nice surprise when they get that and a few other things as well. Q: Let’s talk about location…. I actually think location are as big a character in the film as is anything else, I’ve got a real thing about locations. I wanted to show a side of Sydney I hadn’t seen on film before because often, you know, with Australian films they can be period or gritty urban Western Suburbs looking…I just wanted to show a fresh, contemporary, middle class because you don’t often see it. Q: So going into Cambodia, did many problems while shooting come about? Well, a month earlier we had been location scouting so when we finally got there for the actual shoot, all the locations were gone, like everything had been changed, buildings had been knocked down, beaches had been wiped away, all sorts of things had happened. So, from that we realized in the first five minutes of shooting that the camera department didn’t speak any English and almost everyone on the crew didn’t speak English, so we had to send for translators and we had a huge schedule to get in for seven shooting days. Basically every problem that you could’ve thrown at us, even Felicity (Alice in the film) and I still had to look after our young children and I got incredibly sick, like vomiting and flu. It was like a war and it was also a lot of fun, I’d do it all over again. Some of the stuff toward the end, and I don’t want to give anything away, that’s all the real deal, We found the sketchiest little lane in all of Cambodia, mafia run and brothel area and when in there and shot over there. It was incredibly difficult; a lot went wrong but a lot of the material we were getting was working really well, there’s something about all that madness that was working, it was like ‘Apocalypse Now’. We got out alive and I love what we shot over there and I’d do it all again in a heartbeat. Again, a big thanks to Hopscotch Films for organising the interview. According to Chris, the biggest surprise was to find that Darcy-Smith may be the nicest man in the film industry and knows more than a thing or two when it comes to storytelling. ‘Wish You Were’ here is one of the must see films of 2012. 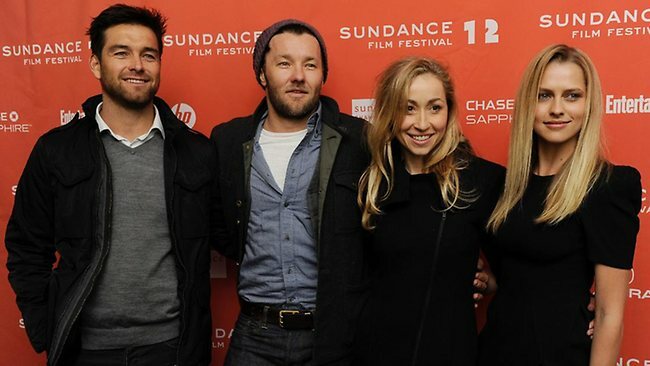 25 April 2012 Australia and previously played at the Sundance Film Festival 2012.